← BarCamp Blackpool – Rocks! It’s been ages since I did a semi-tech talk at a BarCamp, since I usually talk about photography. But recently I’d been picking my Dad’s brains on his hardware hack which makes an old BBC Model B Micro play a pipe organ with electro-pneumatic action at the local church. I thought a bunch of BarCamping geeks would appreciate knowing about this madcap scheme, so I put together this presentation and ran sessions at BarCamp Blackpool and BarCamp London 7. I hope you enjoy. I am presenting a hardware hack project which has been undertaken by my dad, Geoff King [left]. 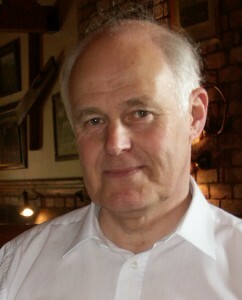 He is a closet geek/engineer/tinkerer with many years’ experience under his belt. He spent most of his career before retirement in the Physics Department of the University of Essex where he taught the students how to interface lab experiments with KIMs, then BBCs, and later PCs. 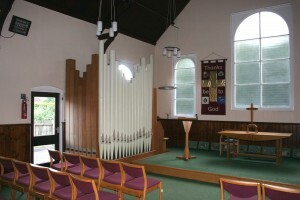 When the BBC Model B arrived, he had an idea to use one to play the organ in his local church, where he has been organist since the mid-1960’s. But in the early 1980’s BEEBs were expensive state-of-the-art machines – as you may have seen recently on the excellent BBC4 series Electric Dreams! So the idea was put on hold for a while. But you know a geek. An idea never really goes away… Some 20 years later, with his retirement looming, he was able to “acquire” several Beebs, by then regarded as redundant and heading for the scrap heap. The idea was dusted down, and Ernie the Electronic Organist was born. 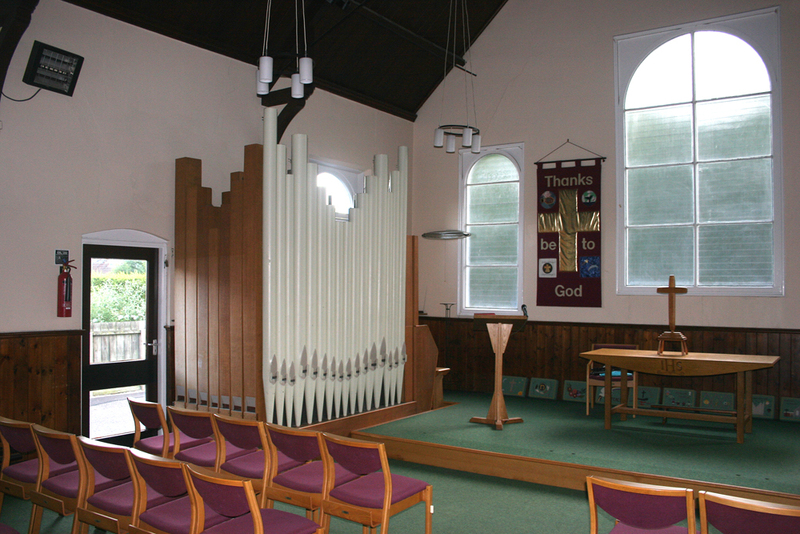 The church organ is a modest affair of 6 speaking stops on a single 54-note manual keyboard, with a single stop on an independent 30-note pedal organ. 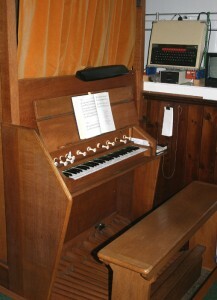 As small organs go, the instrument is unusual in having electro-pneumatic action. This is in contrast to the traditional system of rods and levers, known as trackers, linking the keyboard to the pallet valves which supply air to the pipes. Switches beneath the keys supply current to a series of solenoids which operate small valves controlling the air supply to the pneumatic motors attached to the pallet valves. An unregulated PSU provides up to 10 amps of current at a nominal 14 volts DC to power the action. One side of each magnet is connected to the 0 volt rail, with the keyboard switches on the +14 volt side. The aim of the project is to simulate a series of computer-controlled switches in parallel with the keyboard switches. For more details, see Part 2 (Machine Control) and Part 3 (Generating The Data). This entry was posted in barCamps, geekery, hardware hacking, technology and tagged bbc micro, geoff king, hardware hack, pipe organ. Bookmark the permalink.